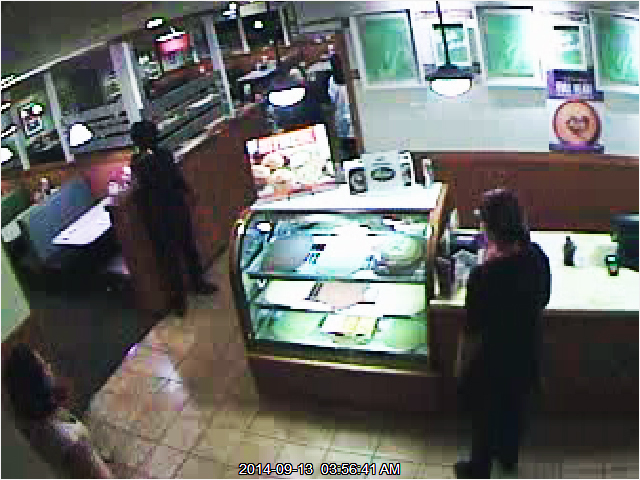 (September 14, 2014)- Cape Coral Police Detectives need your help identifying suspects in an armed robbery that occurred at a Cape Coral Perkins restaurant in the overnight hours from Friday night into Saturday morning (CR# 14-14603). 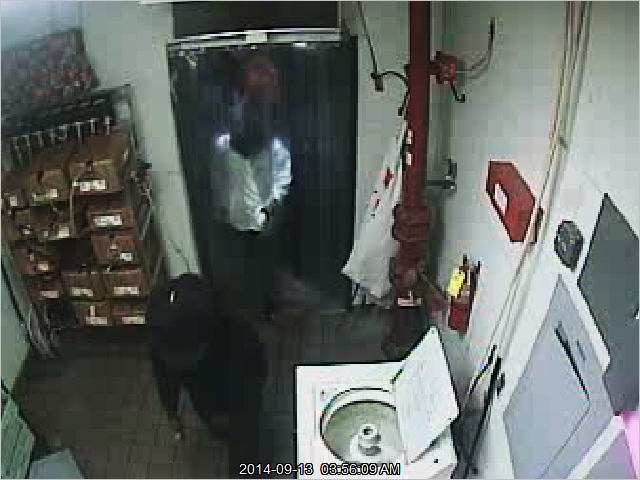 Just a few minutes after the Perkins restaurant at 1551 Del Prado Boulevard S., closed at 3:00 AM Saturday morning, two black makes entered the business through an unlocked rear door. Both suspects were completely covered from head to foot, making it extremely difficult to obtain accurate descriptions from witnesses. The first suspect wore a black, long-sleeved shirt, and had a silver revolver. The other suspect had on a white long-sleeved shirt and socks over his hands. The suspects put two employees in a walk-in freezer and the suspect with the gun took the third employee to the safe in the office. 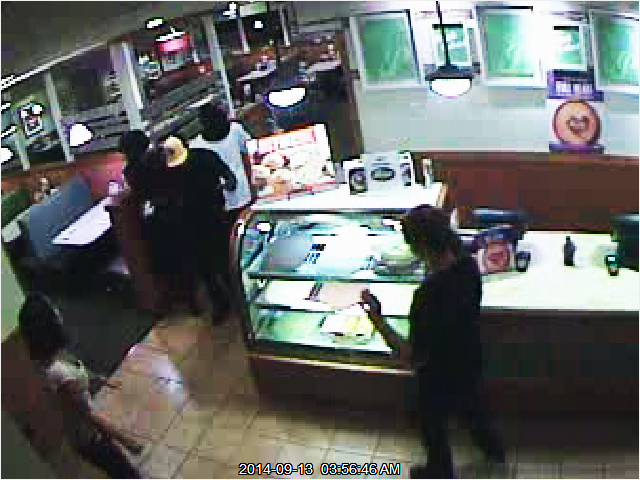 After stealing money from the safe, they went to the registers and stole that money as well. 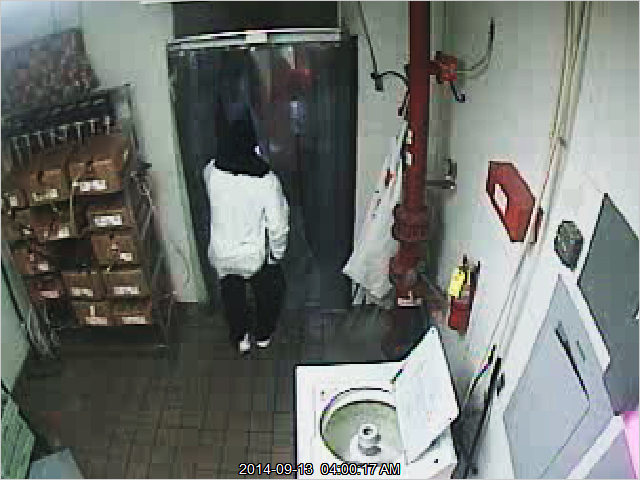 The third employee was then placed in the walk-in freezer with the others. The suspects then left the business by unknown means. There were no reported injuries. The suspect with the gun possibly had long dreadlocks. They were both described as medium build. The male with the gun was taller than the second suspect. 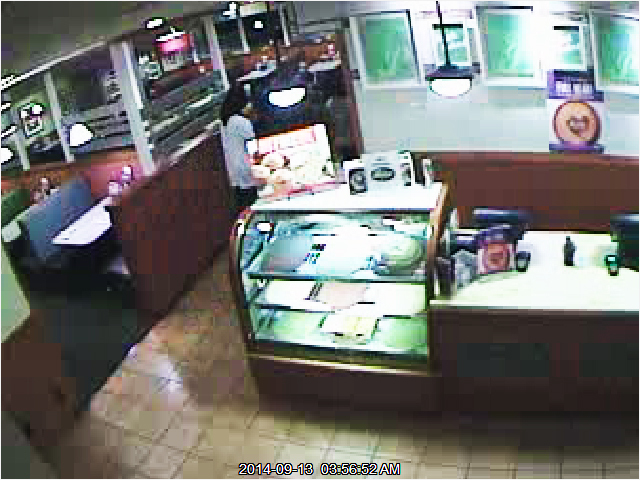 Please take a look at the photos, taken from surveillance cameras in the business. If you have any information on the identity of the suspects, please contact the Cape Coral Police Department at 239-574-3223. You can also submit an anonymous tip. Go to www.capecops.com/tips or text a tip- Text CCPD+"Your Message" to CRIMES (274637). Finally, you can call Crimestoppers at 1-800-780-TIPS.